The Misty Moon International Film Festival is back again this Halloween, for another year of fantastic indie films and will be held on Saturday the 27th October at London’s ‘The Cinema Museum’, a venue of significant cultural importance within England’s capital city. We are looking for short films of all genres to be submitted but as it is near Halloween and our judges are made up of actors and actresses from well know horror films we would appreciate a smattering of short horrors as well. 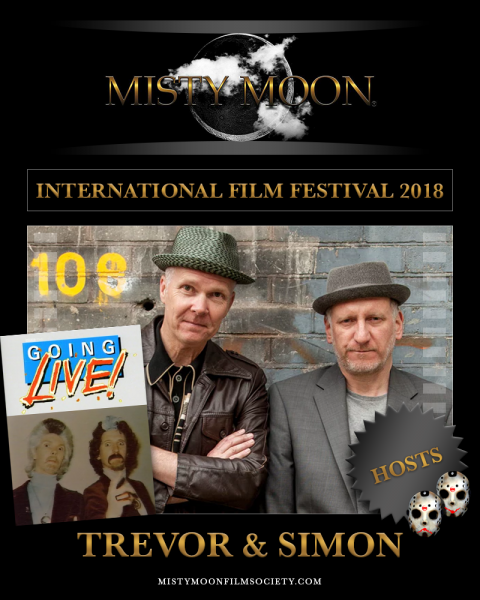 The evening will be hosted by legendary comedy duo Trevor and Simon, best known for BBC1’s Saturday morning alternative comedy shows Going Live! and Live and Kicking. There will be four awards, audience winner, judge’s winner and two special awards: The Fenella Fielding Award and The Dudley Sutton Award. Each of the winners will receive an engraved trophy. Free admission but donations towards the museum are most welcome.